25 March 2019: minor information market for second year bachelor students. Register now. Are you going to start with your third bachelor year after the summer? In your next academic year you get the change to specialize within your own field of expertise or broaden your academic knowledge via a minor you are required to follow. As the minor starts in the first semester of your third bachelor year, this is the time to get informed about the possibilities. 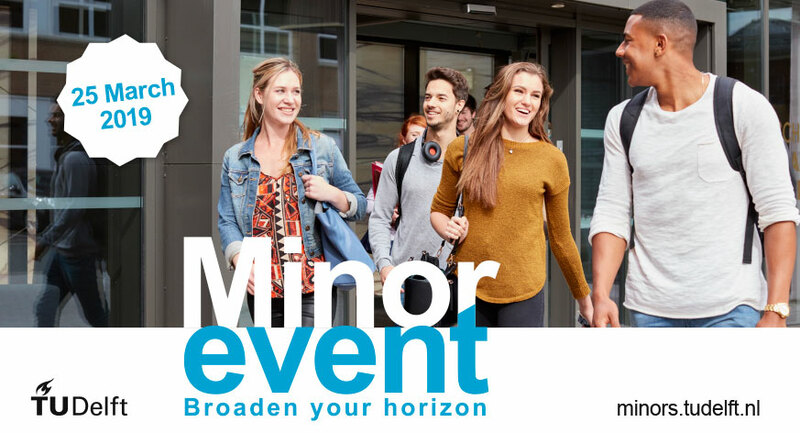 At the minor information market you have the opportunity to have face-to-face contact with the minor coordinator and students who have previously completed their minor. Sign up now via the email you received with a registration link or via de website. There are three time slots 13.30-14.30, 14.45-15.45, and 16.00-17.00 and full is full. 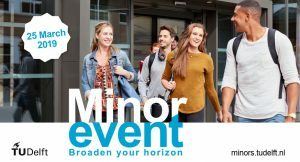 On the website minors.tudelft.nl you can find useful information to help you select a minor that suits your needs and interest.